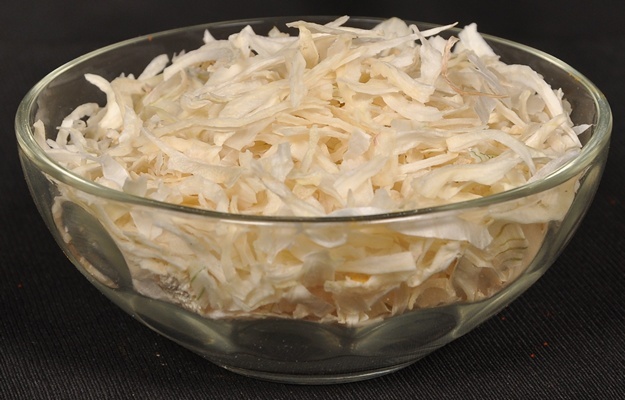 Virdhara International is manufacturer, supplier, exporters of premium quality Dehydrated White Onion Flakes/Kibbled. Our offered flakes/kibbled are processed using premium quality onion, procured from trusted vendors of the market. Processed following international quality standards and norms, offered flakes/kibbled are stringently inspected ensuring their natural taste, aroma and color intact. Our manufactured Dehydrated White Flakes/Kibbled is as per US FDA and ASTA quality standards. Quality A” Grade, “Commercial” Grade, “B” Grade. Packing 14Kg Net weight in natural white poly bag inside double layer strong paper bag.